30th Anniversary of the Exxon Valdez Spill. 30 years ago today. I was the chief photographer at the ABC station in Anchorage when I got a phone call at home to come in early because an oil tanker had run aground in Prince William Sound. The weather in Anchorage was bad and we scrambled to finally find a charter flight that could get us over to Valdez. We dropped out of the clouds into a swarm of aircraft circling the Exxon Valdez and could see the oil already spreading into the Sound. It was devastating. I can still remember the smell, even in an airplane hundreds of feet above the ship. If you happened to be watching ABC World News Tonight that night hosted by Sam Donaldson, you saw my footage. Except for a few exceptions, it’s the only story I covered for the rest of the summer and fall. 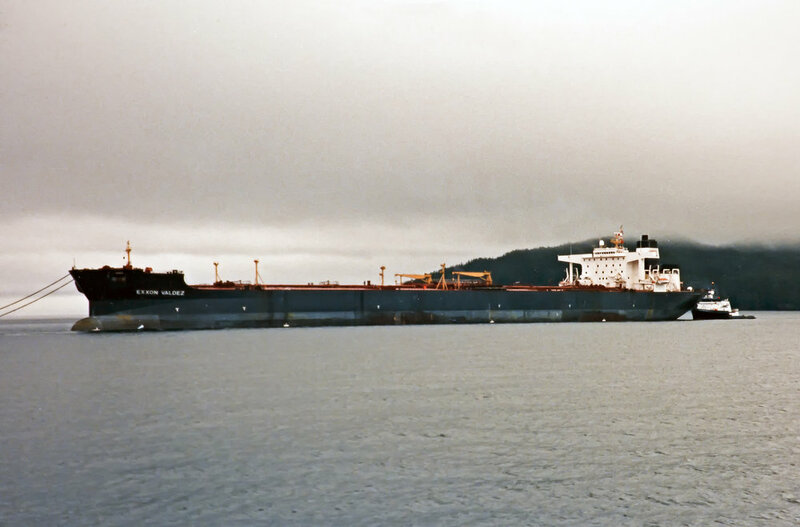 I took this picture of the Exxon Valdez months later as it was getting ready to be towed back to California for repairs. 30 years. You can still dig down on certain beaches in Prince William Sound and an oil sheen will come to the surface.